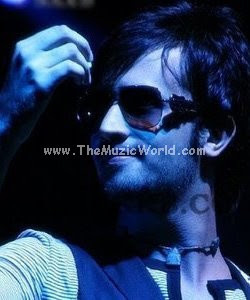 ATIF ASLAM is back again to rock Bollywood with his latest track O MERE KHUDA in the movie Prince - Its Show Time . Earlier only teaser of O MERE KHUDA was available to download but not the full version of O MERE KHUDA by ATIF ASLAM (OST: Prince - Its Show Time) is available and you can download that from the link given below. To download O MERE KHUDA : ATIF ASLAM (OST: Prince - Its Show Time), 'RIGHT CLICK' and 'SAVE TARGET AS' on the link given below. To listen the song, click on blue 'PLAY' button. its a B Grade Song, Atif Will Be in Decline Mode after this Song. I Hope you recognize me. ur blog is really nice and cool as well good for downloads. I just wanna suggest that u should go for blog advertising & marketing there is a website which is offering very unique features at affordable prices. There are Expert advertising teams who will promote ur blog & affiliate ads through all over the networks. All u have to do is submit your blog plus pay affordable prices and rest leave it to Advertising Team for Promotion & Marketing then see how u enjoy a lots of quality traffic plus good readers to ur blog. Finally I have bookmarked it & share with my friends, great work & happy blogging.